You get one idea, it turns into something else, and again. It’s tricky to navigate a bourgeoning downtown, it’s flourishing with new things to do, places to see. But I’m always left thinking about the things that ever brought me downtown in the first place, for us and so many other people it was music, and other creative outlets. 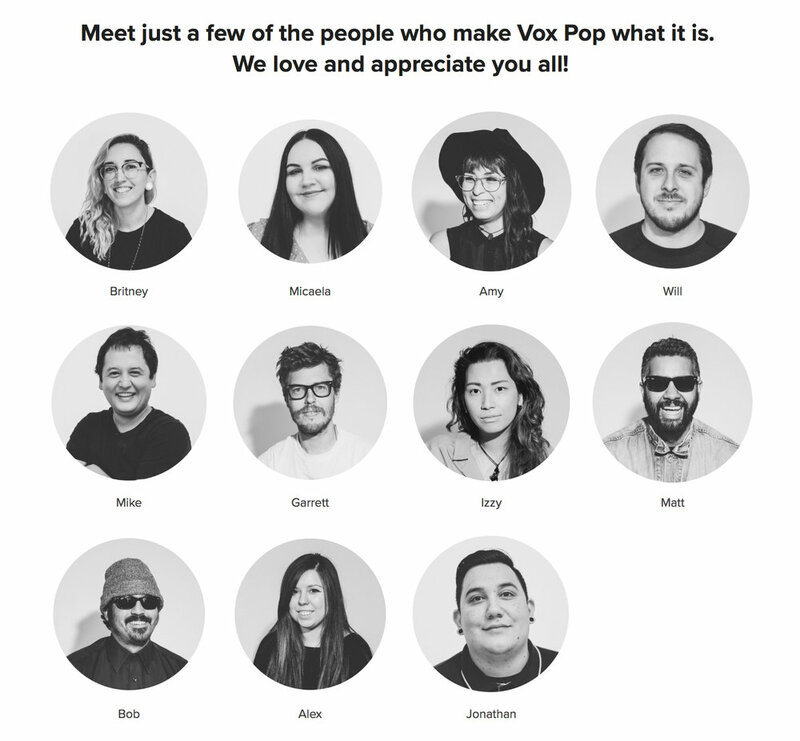 Vox Pop was born out of necessity. We need an open, versatile, inclusive, accessible creative space. We need more options for people to gather. We need more space for music. We need to do all of this, and never lose focus. So here we are! We've worked hard in creating an event space, photo studio, gallery, and venue with the help of countless amazing people from our city. We've already made so many special memories in the space with so many of you. We can't wait to see what else the Stockton community creates here.